Brands that pair flexible payments solutions with innovative technology are fulfilling the demand for seamless and enjoyable customer experiences better than their competition. Look no further than the wildly popular Starbucks rewards app, which boasts more than 15 million US members and has cracked the code on combining an engaging loyalty program with mobile ordering and payment services. There’s a common script that organizations can follow to brew their own exceptional customer experience: integrating the process of receiving and making payments with your enterprise and third-party platforms and services. Businesses should use prepaid payments and rewards products to enable the overall user experience and drive growth of their core products and services. Whether it’s improving sales, engaging employees, managing expenses, or speeding commerce – prepaid solutions that are woven into the fabric of an organization’s technologies drive better overall experiences. 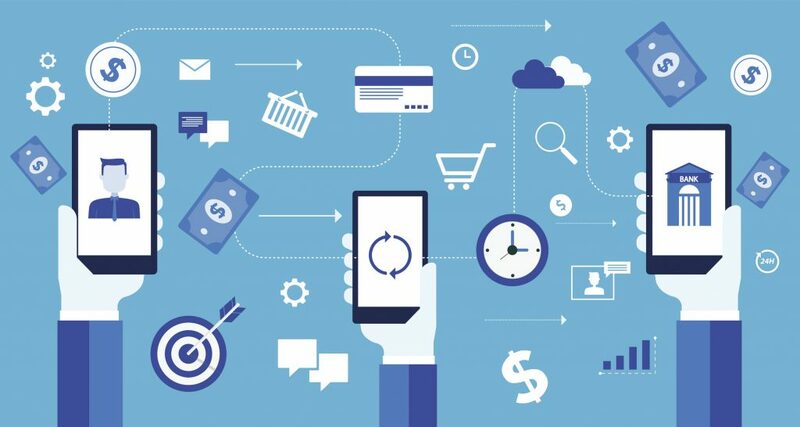 The most common methods of accomplishing this involve using Application Programming Interfaces (APIs) and payment tokenization: making it faster and easier than ever for businesses to integrate new solutions into their existing workflows and systems, while enabling best-in-class customer experiences to achieve business results. Using APIs to integrate the delivery and management of prepaid payments and rewards into existing business systems can deliver superior experiences and outcomes, and make much better use of internal resources in the process. Clinical research sites, for example, focus on securing and retaining patients throughout a clinical trial – which can last months or years. To continually engage patients and ensure consistent program participation, they can use APIs to streamline patient reimbursement. By integrating their clinical trial management systems and workflows with prepaid payments applications, they reduce manual work (and the errors that come with it) and gain more visibility and control; making it simpler to create a positive, branded experience for trial participants that can be easily scaled to multiple programs. APIs can also enable and integrate any payment system function, from card activation and funding, to fraud prevention and reporting, which quickly adds value. Finance and human resource teams can use APIs to integrate payments directly into their employee onboarding and benefits management programs. There are myriad opportunities, which include seamlessly delivering prepaid payment cards as an alternative to direct deposit for individuals without traditional bank accounts, and enabling managers to instantly issue spot rewards to customer service or salespeople through their sales automation tool or employee portal. Leveraging APIs from prepaid program managers, businesses can also significantly reduce the complexity that would otherwise fall on internal development teams. Rather than learning and communicating with numerous APIs from players across the payments ecosystem, such as a processer, fraud solutions provider, ACH vendor and others, developers can integrate an entire payments or rewards program using just one set of APIs from the program manager, who serves as the payments expert and coordinator of all program elements. Payment tokenization can be thought of as EMV for non-card applications – where the traditional payment card account number is replaced with a unique digital token in online, contactless, mobile and in-app transactions, making it easy to enable secure transactions without the need for multiple technology integrations. Businesses are using this capability to make it as simple as possible for customers to spend by keeping tokens, instead of card numbers, “on file” for recurring payments, and to enable one-click online or mobile checkout. In doing so, businesses eliminate both the friction associated with repeatedly entering a payment or rewards card number into a device and the security risk of storing card account information online. Tokens also allow payment accounts to fit seamlessly and securely into virtually any existing enterprise system. Whether it’s order management, customer relationship management, or HR and benefit systems, employees or program administrators can view account history, process transactions or fund programs without having access to sensitive card information, further streamlining program implementation while reducing the opportunity for fraud. Using tokens in this manner reduces the scope of systems that are subject to PCI Compliance, also reducing the cost and burden on human resources and systems by eliminating related activities. What’s more, additional data fields can be included on tokens, giving organizations transaction-level insights that can be used to build better payments and rewards experiences and improve transactional efficiency. Businesses have been using prepaid payments and rewards to make memorable customer and employee experiences for years. Today’s collaborative technology tools allow brands to get more out of each program. Expediting and streamlining the integration of payments and rewards tools reduces operational burdens on the business. Time and resources once spent on complex integrations and manual processes can be saved to drive program profitability, or redirected to new product and service innovation that’s only just begun. Are you interested in further enhancing your customer’s experience, as well as your business operations? Let’s talk.